Brompton unveiled their electric bike at the 2017 World Championships in London. When will it come to the USA and what to expect. UPDATE: July 2018 - It looks like we won't see the electric Brompton in the USA until sometime next year. 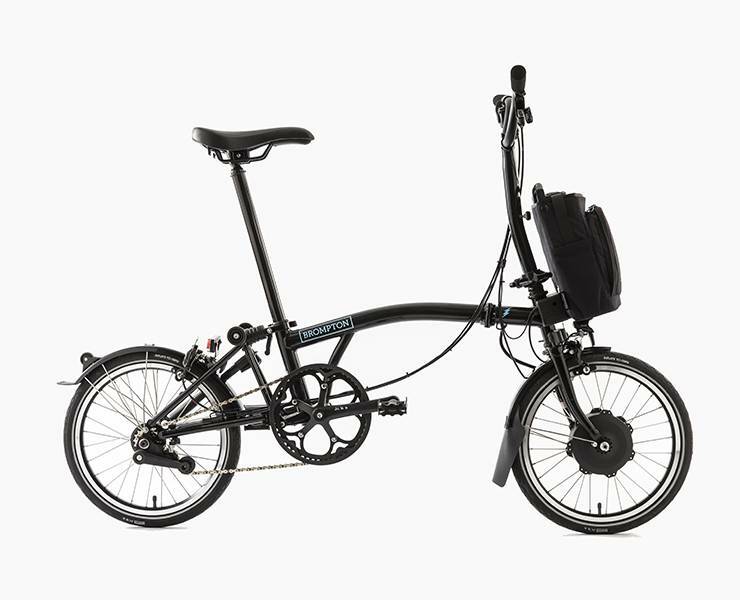 The Brompton Electric is designed to change cities; it has smart features, a sleek design and is simple to use. The bike has 4 modes, ranging from no assistance (the bike rides smoothly without the battery) through to a high level of assistance, perfect if you want to arrive fresh to a meeting or are climbing a large hill. The key features and full specification details are in the table below, which lays out all the technical information about the bike. We can expect to see the bike here in the US market sometime before the summer 2018 season. Bike weight is about 31 lbs. Battery weight is just under 5 lbs.